When my dad passed at the end of our sophmore year we moved to San Antonio Texas. 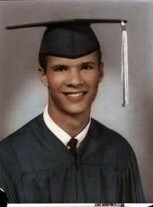 Graduated from South San High School in May 67. Went on active duty with the Navy in July of 67. Was in Viet Nam January 68 on Harbor Patrol Boats. Left the Navy in Feb 71 and went into the Air Force in June 71. Left the Air Force in October 80 and went to work for Lockheed as a training Instructor. Promoted to Design Engineer and spent 28 years in various positions on the F-117A Stealth Fighter. Retired in Jan 2009 and moved to Illinois. Small Town with a population of 500. Patrick Burke updated his profile. View. Patrick Burke has a birthday today. Patrick Burke added a comment on his Profile. Patrick Burke added a photo to his profile gallery.